Elie Rajha, a Lebanese Architecture student, music lover, and a producer, born in Beirut the 18th of may 1993, started producing as an amateur at the age of 12. At the age of 15 he got into a higher level of producing,where he started working on some better and more professional projects,with his emotional and energetic blend of progressive,melodic and uplifting trance sounds. Influenced by Tiesto, Above&Beyond, Armin van Buuren, Solarstone, and some of the greatest Trance Artists,he progressed from no musical knowledge to become the producer that he is today, it was all based on his passion for music. It all started when he used to listen to late-night dance and trance radio shows during his childhood when he fell in love with this style instantly. Lately, Elie experienced many other styles and genres of music like Chill-out, Classical, Rock and Oriental Arabic music, but his main success came with hip-hop and rap music,where he produced many tracks for many Lebanese rappers like GHOST (Winner of the golden medal at the Lebanese talent show “Studio El Fan”), BALANCOS, and many more; These rappers have many fans and followers in Lebanon and the Arab world so his music got heard by thousands of fans. 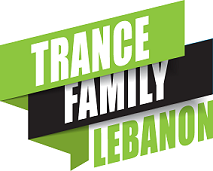 But Trance music has always been his passion and his main interest; he decided to focus more on his “Trancy” side, and consistency paid; Recently, and with a little help by “Trance Family Lebanon”, he got discovered through his track Nostalgia. His tracks are getting great reviews, his projects are getting good support, the future seems bright for this young Lebanese talent.